ATD emolda is Certified under both ISO9001 and ISO13485. These operating standards guides both the design and manufacture of the products in our portfolio and gives our many customers confidence in our ability to supply them with product which is manufactured to a consistently high standard. 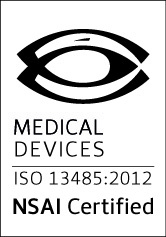 In addition to ISO 9001 and ISO13485, we also manufacture all our medical grade products under cGMP.